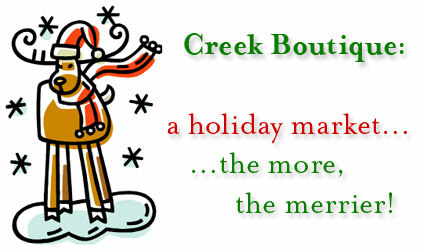 Creek Boutique is Prairie Vale Elementary School's holiday market and craft show! This will be held on Saturday, November 3rd 2018 from 9 a.m. to 3 p.m. Come by and get your holiday shopping done early! Space is limited and available on a first come, first serve basis. We will only accept one vendor from each direct marketing company (Scentsy, Homemade Gourmet, etc.) so be sure to register early! Please email pvpto@dcsok.org with any questions.